Get to know the guys behind HQ.. We have staff in many countries worldwide. You will normally find no less than one HQ team member online 24hrs a day. Our team come from various timezones worldwide and are here to support you with your problems via our forums. If you need support please be sure to post your questions or comments in our forums so our administrators, moderators or other active HQ members can contribue to your thread and help.. Even though we already have moderators and administrators in a variety of countries worldwide, we are always looking for more users to help with on-going support for our users so get in touch. If you have time to help our site expand and would like to talk with us directly please contact us. We have three (3) main administrator categories. Please make your selection. Senior Administrators have full control to the content on the 360-HQ website and may approve: the start of new competitions, member bannings, content removal, clan leader status and many more options. This way there is always a decision maker available if a problem may arise. forahobby is always to be contacted first but if he cannot be contacts then move down the rank from top to bottom. CO-ADMINS can have access to each individual section of the site to approve, edit or deny submissions.. Depending on how much time each admin spends on our site may determine how many sections they are moderating. Our Co-Admins always have full moderation access in the forums. uuuuuuuu xbox damn come on. Moderators are normally only take on a few minor admin tasks on our site. Moderators look after our forums and provide support in many different timezones. Monolith Gotham City Impostors is a downloadable team based first person shooter set in the Batman universe. 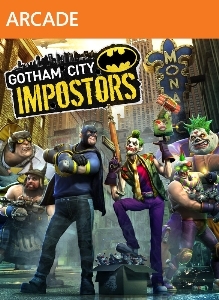 Gotham City Impostors is an original download-only first-person shoo..
XBOXONE-HQ.COM APP | Out Now on Google Play!